You want to know how your product performs in terms of usability and how to further improve your product's usability? The best and most effective method to find out is a test with real users. Just have a look over your users’ shoulders. Usability testing is probably the most effective method to identify usability problems and room for improvement of an application. We generally carry out usability tests with real users of the respective target group. By observing the actual behavior of the users while interacting with a product we detect all important usability pain points and develop recommendations for optimization. 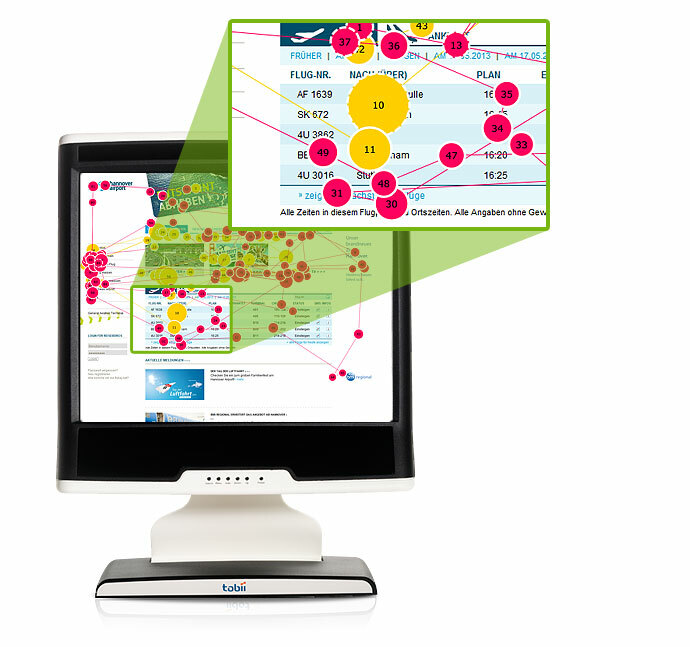 Eye tracking is a valuable instrument to measure in which sequence and how long users look at certain parts in a user interface. That way eye tracking helps us to identify which elements catch the users’ attention and which are ignored altogether. Eye tracking studies can help to uncover invisible perception and decision-making processes. The method is especially powerful when it is used e.g. 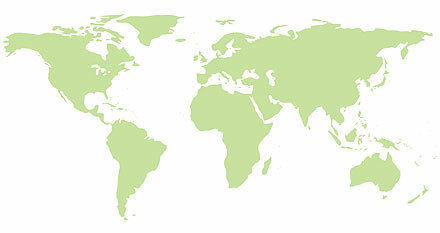 in combination with a traditional usability test or to compare different design alternatives. Understanding the users. Knowing about their requirements and needs. That is the precondition for a positive user experience and therefore a successful product. We can spare you expensive design flaws and unpleasant surprises - by systematically employing scientifically grounded methods in combination with our UX experts’ experience and knowledge. We will be happy to advise you which methods to apply in your project's context. By today, website providers are obligated to make their website easy to use with a smartphone or tablet. Mobile devices set totally different requirements in terms of navigation. We carry out usability tests for mobile websites and apps with smartphones (iPhone iOS, Android, Windows Phone) and tablets (iPad iOS, Android) to ensure an optimal usability. You want to ensure that your product is ideally adapted to the culture-specific differences of your target markets and strive to receive a positive user feedback? We will be happy to coordinate your international UX study and – in cooperation with our global UX partners - take over the complete execution. In an expert review you receive structured feedback from our usability professionals. The quality of an expert review does not solely depend on a systematic and methodical approach. It is also strongly influenced by the knowledge and experience of the experts. 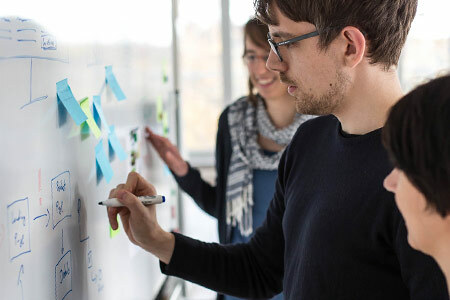 The experts at usability.de are professionals with many years of experience in user-centered development and the evaluation of interactive products. How do I profit from a good usability?